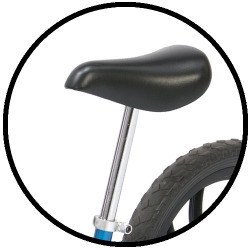 Factory replacement seat comes with long seat post 12". Comes with seat and post for easy swap out (no tools required). Great for our older riders who need a little extra height. Allows seat to go up to 21.5"